What do you do with a toasted Ferrari? 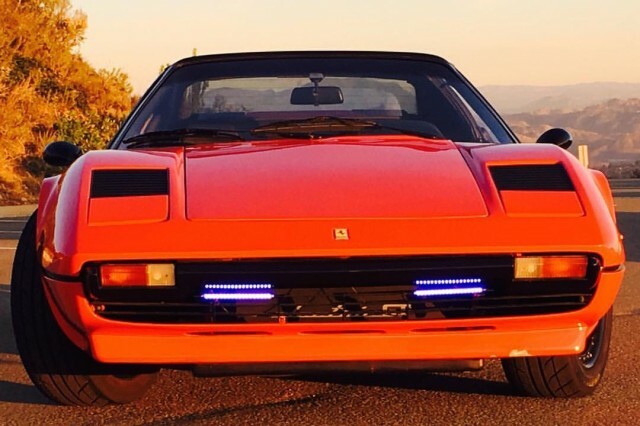 This 1978 Ferrari 308 GTS looks like it drove straight out of an episode of Magnum, P.I., but underneath it's very different from that television star. That's thanks, ironically, to the 308's apparent propensity to catch fire. This particular car was converted to electric power after being heavily damaged in a blaze. 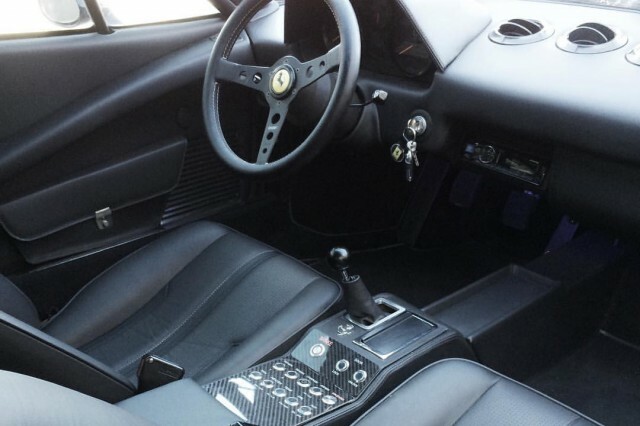 Fire damage actually made this Ferrari a more attractive starting point for builder Eric Hutchinson, who didn't want to alter a pristine original car, notes Engine Swap Depot. The car had suffered a fuel leak, and was offered for sale with a salvage title. Hutchinson purchased the car for $10,000, and set about installing a new powertrain based around three AC51 HPEVS electric motors. The three motors are arranged in a "V" formation, and drive a single output shaft through a custom pulley and belt system. They produce a combined 465 horsepower and 330 pound-feet of torque. That's significantly more than the stock 3.0-liter V-8, which produced around 235 hp. Power for the motors comes from a 31.5-kilowatt-hour lithium-ion battery pack, which also provides an estimated 100 miles of range. 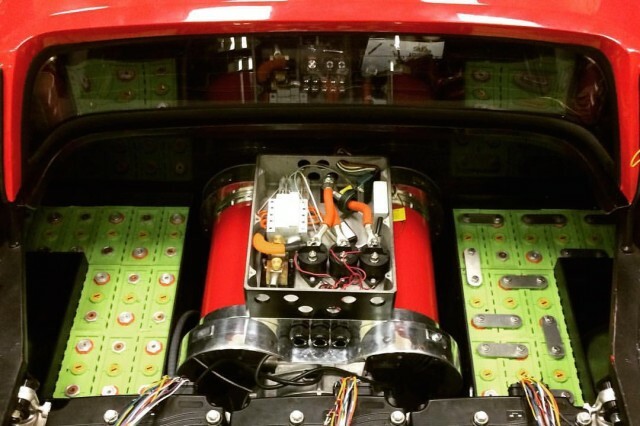 The pack is actually comprised of 48 individual 3.3-volt lithium-ion batteries mounted throughout the car. One compartment in the front of the car holds 24 batteries, while two compartments in the rear hold 12 each. Part of the conversion also involved stripping the 308 of what its new owner viewed as any extraneous items. Still, thanks to the heavy electric-powertrain components, the modified Ferrari weighs 3,400 pounds—about 150 pounds heavier than stock. From the outside, the car still looks like a regular 308, with the lack of engine noise likely the only hint that there is anything unusual about it. The near silence of electric powertrains is also why there probably won't be any factory-built electric Ferraris anytime soon. Fiat Chrysler Automobiles CEO—and Ferrari chairman—Sergio Marchionne thinks a Ferrari just wouldn't be a Ferrari without engine noise. 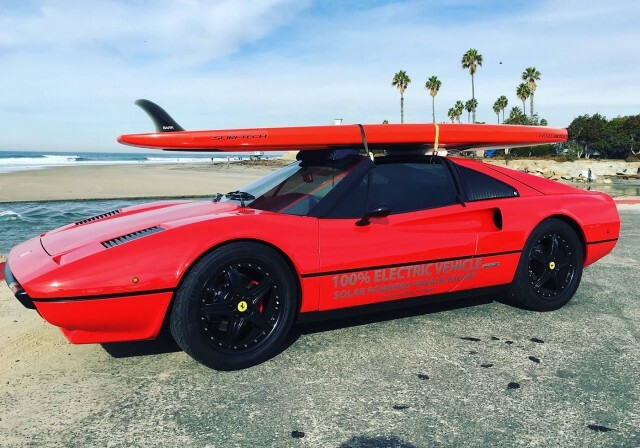 He said recently that an electric car from the storied Italian brand would be "obscene."